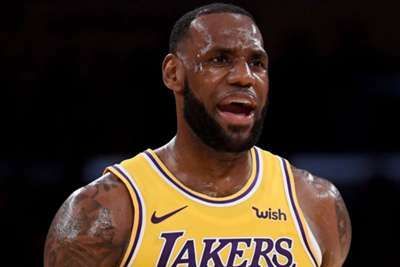 The Los Angeles Lakers paid the price for an abysmal start as they suffered another early-season blow with a 121-107 loss to the Toronto Raptors. With rumours swirling in recent days about coach Luke Walton's job security, the Lakers were looking for a boost at home on Sunday but came out flat and never recovered. To make matters worse, the Lakers (4-6) caught the Raptors a man down, so to speak, with Toronto forward Kawhi Leonard unexpectedly missing the game due to a sore ankle. It did not matter. The Raptors (9-1) came out hot and led the Lakers by 31 at one point in the first quarter. According to ESPN, they are the first home team in the past 20 seasons to trail by 30 or more points in the first quarter. Serge Ibaka stood out for Toronto in Leonard's absence, scoring 26 in the first half and finishing with 34 points on 15-of-17 shooting. Lakers president Magic Johnson met with Walton last Tuesday about the team's slow start, but Johnson told the Los Angeles Times the discussion had nothing to do with Walton’s job security and he’ll finish the season as the team's coach "unless something drastic happens, which it won't." Yet, expectations in Los Angeles are exceedingly high this season with LeBron James on board. James had a so-so game — by his standards anyway — with 18 points in 28 minutes. But even if James were knocking down triple-doubles every night, he needs help, and the team needs to find its lineup chemistry. Giannis Antetokounmpo had 26 points, 15 rebounds and 11 assists in a win over the Sacramento Kings, including a brutal dunk over compatriot Kosta Koufos. Aaron Gordon also scored 26 and added eight rebounds in the Orlando Magic's victory over the San Antonio Spurs. The Philadelphia 76ers had 27 turnovers in a 122-97 loss to the Brooklyn Nets. To put that in perspective, Philadelphia led the NBA in turnovers last season with 16.3 per game. Devin Booker calmly knocked down a game winner for the Phoenix Suns against the Memphis Grizzlies. He finished with 25 points. Meanwhile in Portland, Minnesota Timberwolves rookie Josh Okogie absolutely posterised Jusuf Nurkic on a dunk. However, Portland were comfortable 30-point winners. The Denver Nuggets are out to an incredible start that has included some quality wins, including one over the Golden State Warriors. They'll have their hands full with the Boston Celtics. Boston are looking to get back on track after seeing its four-game winning streak snapped by the Indiana Pacers in a last-second loss on Saturday night.